What are the movies that inspired you to become a director ? Besides, having an older brother, I also got an “alternative” art education more rock based, through comics like Metal Hurlant and films for which I was probably too young. Anyway, it gave me a good foundation and I want to thank my bro for that! Who are the directors that you admire ? As I said in the previous question, originally, directors such as Spielberg & Lucas. Then, less mainstream directors such as Scorcese (I’m a big fan of Taxi Driver) or Coppola. As I grew up and started to watch more and more movies, I discovered the cinema of Hitchcock, Polanski, Argento, Leone, Cronenberg, Carpenter and others, but I don’t want to sound like « another tarantino ” who knows any Z-movies. In addition, I am very fond of directors who do not lock themselves in classic formulas. Let me explain: I love a director with a universe of its own, who has a true singularity. This is why I love Danny Boyle, David Slade, Refn or David Fincher, Aronofsky. Going to the movies to see a formulaic popcorn movie does very little for me! I want to see an identity, even if I end up not liking it! I think we are still at the early stage of genre movies in France. We need to find a way to industrialise the production process without losing our artistic edge. Even if many have inner qualities, a lot of French Horror Movies lack singularity. For me there is a definite lack of research in terms of scripts and of course, the producers are way too cautious. Furthermore, I believe we tend to follow the american trends too closely, when we should (i’m insisting a lot on this but I think it is essential to do so) work on what makes us unique. Spanish directors have found their way. You can feel the heritage of spanish culture in the way they tell their stories. I sincerely believe that our culture is vast enough so that we can do the same. A new generation of directors is coming and I think things will change. There is talent, plenty of ideas, and enough motivation to get there. There is no reason why it should not work. You wrote the script for Silhouette as well. Where did you get your inspiration from ? The pitch came form a need to tackle personal topics. Based on this, I knew also that I had to do a genre movie. But it could have very well be a comedy if I thought it was needed. For me any movies is a genre movie. The script was much longer at the beginning but I made some edit to get to the current version. Why did you chose crowd funding to finance Silhouette? Crowd funding allows a project like Silhouette to eventually become a reality. There is clearly no way this movie would have found fundings through the usual channels with genre movies not considered bankable at the moment in France. Nonetheless, financing through Ulule represents only one part of the project. We have found some producers willing to help us but we need this funding to be sure we can keep the story’s integrity. And I have insisted, since the beginning, that I wanted to get our backers as close as possible to our team, through the making of directed by Bruno Cailloux and the daily diaries. This is the least we could do and who knows, it might even create some vocations. Could this short, if successful, become a full length feature film ? Even if I’m currently develpping some other features ideas, Silhouette could indeed become one itself. Keep in mind though that Silhouette was first and foremost written as a standalone short movie and not as a demo reel for a potential full length feature. What are the movies that have impressed you recently? I’m extremely busy right now ( not only with Silhouette but I’m also directing some music videos), so I don’t have as much time as I’d like to go watch movies in theaters. But my last shock : Cloud Atlas. It’s not an easy film to get into but I really appreciate the movie’s complexity, which is very rare these days and should be underlined. I also really enjoyed The Tall Man from Pascal Laugier who, for me, is one of the few French genre director to have found his voice. I’m really glad he has found his public and give me a lot of hope for the future. I was impressed with Drive as well and this film confirmed everything good I thought about Refn. Finally, without being great, I like the production system in place for movies such as Sinister and Insidious (Horror within a broken family based on good casting and atmosphere). Those are good movies made for a larger public. ! And in Spanish, I did find Insensible from Medina very well made. 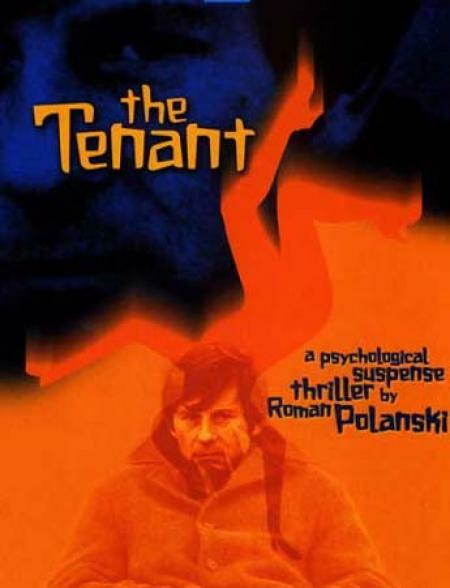 It changes, depending on when you’d ask me this question but let’s say that, right now, I’m feeling very close to Polanski’s cinema and in that case, from his underrated movie « The Tenant ». 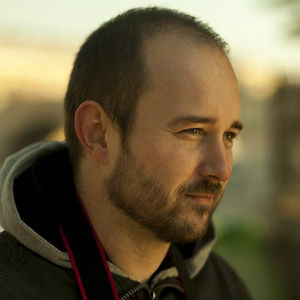 I’d like to thank Bertrand Cazor again for his time and if you’d like to help him and his project, go to Silhouette Ulule’s page Here.